After its debut a year ago, the BIM Tree Chimpanzee returns to the spotlight. Whether you’re dealing with an architectural, structural, or MEP model in Revit, this BIM chimp knows its way around. 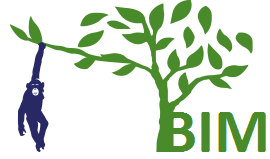 Enter BIM Tree Manager. Our chimp is on hand to show how to manage all BIM object info. See the posts below for examples of how to manage architectural, structural, or MEP projects. 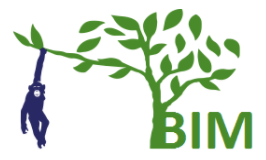 It’s time we give more credit to BIM Tree Manager – an amazing solution for Revit®, which makes it incredibly simple to find and isolate elements in current or linked models, verify geometry and data at any LOD, and quickly fill in gaps or fix mistakes. With this article, we embark on the BIM Tree Chimpanzee series, which will include lots of useful information about how architects, structural engineers, and MEP engineers can wield BIM to its full potential. So don’t forget to keep on track! When working with Revit, we go through the process of designing a model driven by lots of parameters, full of information that will be used later on. So, it is understandable that we get frustrated if, at some points, we cannot use the information we worked on the way we want to. Don’t get me wrong – Revit has a lot of brilliant functionality, and after all, what program does everything we want it to do? Architects can get wall, floor, and ceiling finish material quantities in Revit very easily when they need to calculate them for the whole building. But it is a different story when it comes to calculating them by individual rooms: sadly, it cannot be done. In plain Revit, the process of making Room Finish Schedule requires quite a lot of time and concentration because you have to fill in Finishes manually, in which case a margin of error emerges. Also, you cannot get actual material quantities of each floor, wall, or ceiling in a room.